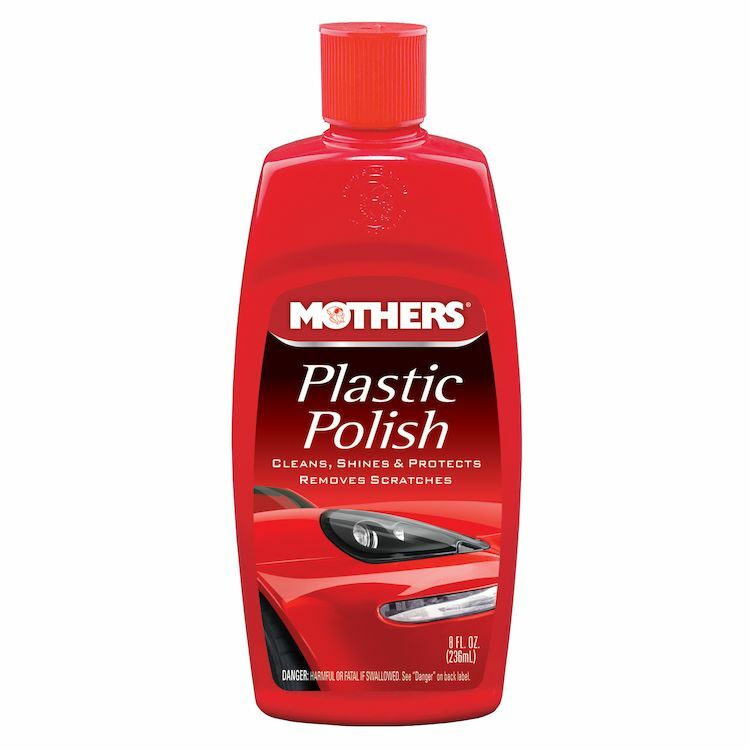 Whether it’s your turn signal lenses, center caps, brake lights, windshield or the clear plastic gauge cluster cover, Mothers Plastic Polish will clean, shine and protect the clear stuff with crystal clarity. This is a true polish you can buff out hairline scratches, smudges, flaws and little nicks, as well as clean away yellowing and stains from your plastic convertible window. Mothers Plastic Polish doesn’t stop there, it protects your plastics from the sun, smog, water stains and airborne contaminants with a tough layer of polymers.